How do you make coding fun for kids? Robots, obviously. Dash and Dot are mini robots that do just that. Dash dances, sings, races around and responds to voice commands. 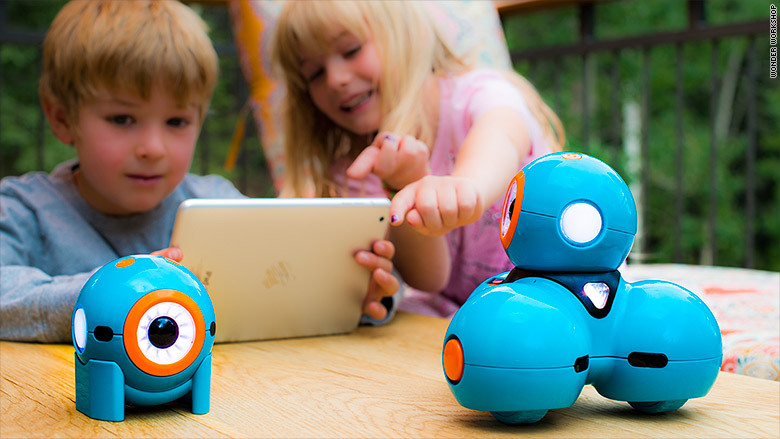 Dot doesn't move, but with an app, kids can code it to become a blinking nightlight, play tug-of-war with Dash and even bark. Toymaker Wonder Workshop created four free apps that kids can use to code new features into the robots.